Social-media platforms have made it ridiculously easy for people to project an opinion that would not previously have got beyond their budgie’s cage right into the ear of the intended recipient, but that does not automatically mean social media is a force for good. It is great to be able to tell Ricky Gervais how much you loved After Life or to praise a jockey for a brilliant ride that happened to win you a few quid, but positive messaging tends not to be the primary function of many users. Instead, and goodness knows I have been as guilty of this as anyone at times, many of us take full advantage of the ability to direct criticism at people and organisations with whom they are unhappy or dissatisfied. It has created a strange new environment and one that is actually quite detached from traditional human interaction in my experience. As editor of this fine organ I was on the receiving end of a fairly regular stream of negativity and abuse down the years, yet it is hard to think of more than one or two occasions when anyone showed similar anger or rudeness to my face. This reinforces my view that many people have become far more rowdy, mouthy, aggressive and generally angry since they were given the facility to fire off their tirades via a keyboard rather than having to engage face-to-face. The upshot, whether it is anti-Leave, anti-Remain or a desire for the manager of the football team you support to be sacked, is that the air is filled with fury far more than ever before if you are a user of Facebook, Twitter or the like. This is particularly apparent in racing, where tempers flare at the quietest of times and truly erupt should things not go perfectly on the big occasions. 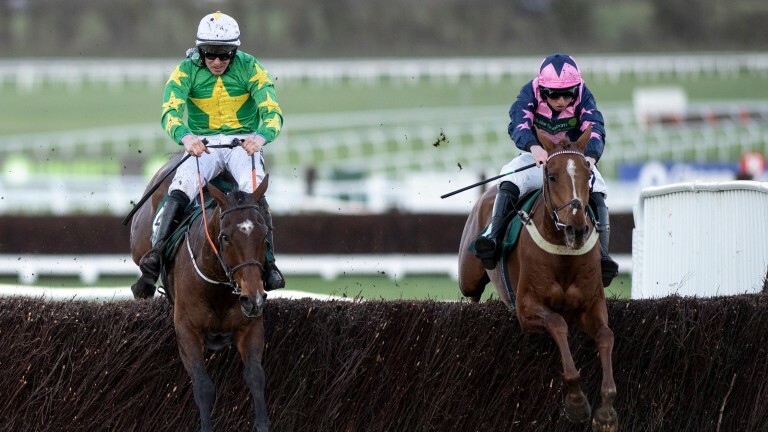 Take Cheltenham last week, when three jockeys competing in the National Hunt Chase were suspended for continuing when it was deemed they should have pulled up their horses. The reaction from many racing professionals was furious and provided further proof of how easily outraged so many people are these days, even if the cause of their ire is either a red herring or not even true. Should a jockey who finished third in a race at the Cheltenham Festival be punished for not pulling up? It is debatable, not least because had there been only two finishers it could have been spun into a negative by those who still feel racing is falling short in its welfare responsibilities. The BHA has since come in for stinging criticism from racing professionals and there has even been talk of a no-confidence vote in the regulator. But the ongoing debate is to a large extent sorely lacking in rationality and reason. Racing is structured in such a way that everyone who falls under the umbrella term ‘horseman’ (one day they might realise not all of them are male and come up with a name which reflects that) has a voice at the highest level, and any professional with deep concerns about something as fundamental as the regulator’s ability to function properly would be acting with greater purpose by going through their representative body rather than firing off a fury-filled tweet. And, of even greater importance, when detailing the sources of their dissatisfaction, it would be helpful to avoid absurd claims that racing is suffering on the basis of where certain officials and administrators were born. I have been utterly appalled at the amount of prejudice towards Australians that has been expressed in recent days. The idea that someone is incapable of working in a senior role in British racing because they were born on the other side of the world is illogical, insulting and belongs to an era from which I thought we had long since mercifully emerged. I can think of five such Australians, so let’s look at them individually, starting with Greg Nichols, who was an extremely widely respected chief executive of the BHB for four years until 2006. Then we had Paul Bittar, who filled the top position at the BHA for a similar period and was not exactly run out of town through incompetence. Bittar was ably assisted by Jamie Stier, who spent seven years with the BHA in a number of key senior roles, and now the organisation has two Aussies among its eight executives: Brant Dunshea, who succeeded Stier as chief regulatory officer, and David Sykes, who is director of equine health and welfare. It is as ridiculous to question their suitability for their roles on the grounds of birthplace as it is to say Eddie Jones or Warren Gatland should not manage Six Nations teams for the same reason. It should not need explaining that it is perfectly possible to learn about and fully understand British racing without having been born in Britain. Just ask Sir Michael Stoute and countless others. Racing professionals largely bring huge amounts of skill, hard work and enthusiasm to the sport, which benefits enormously from those qualities. But their diplomatic skills – and this is particularly true of a number of trainers – are sorely lacking in too many cases. At a time when racing needs to show unity and a willingness to sort out its issues with purpose rather than noise it would be of considerable benefit to everyone if people thought about the validity of, and upside to, their criticism before they pressed the send button. No it’s not. It would be unfair if decisions affecting just one team in a match were scrutinised by the video officials. But if they deploy VAR at Vicarage Road but not at the Den it does not put any team at a fundamental disadvantage. Well, yes. You do. But only if you are prepared to feel equally sorry for everyone who makes such a massive error during a football match. Millwall’s goalie had a complete nightmare in allowing Brighton’s equaliser to float past him and the BBC studio experts were generous in their sympathy for him. What a shame referees, in stark contrast, are afforded so little understanding when they make mistakes that are miniscule by comparison. This is the biggest pile of dung in the whole ludicrous business of football analysis yet it was the accepted narrative after Liverpool laboured to victory against Fulham on Sunday. The fact is it simply means a team are enjoying more than their expected share of good luck, not that they have perfected some weird new ability to deliberately play worse than normal and still get the points. Frodon and Paisley Park created the most fantastic feelgood hour of racing I can remember last week, but from a punting perspective it was a week that reinforced the importance of shopping around not just for the best price but also the best place terms. When your Cheltenham wagers included Wicklow Brave, Not Many Left and Coeur Sublime you are going to have done well to avoid a bad-luck flavoured wipeout, but bookmakers’ willingness to push the each-way boat out meant heavy losses were avoided as a few each-way multiples limited the damage. Bets I assumed had gone down the drain before the second race instead provided much-needed salvation as horses unexpectedly qualified for place returns by creeping into fifth, sixth and even seventh spot. Increasingly layers are offering generous extra places not just at the festivals but every Saturday and even in midweek as a point of differentiation, and punters using odds-comparison tools should be as mindful of the need to access the best each-way terms as they are to focus on black type.